As the body and mind function together, extreme stress may cause physical and emotional symptoms. We might feel helpless or depressed. Possibly, we experience headaches, digestive problems, or frequent infections. We may feel anxious, irritable and have difficulty in sleeping. There are holistic ways to treat such symptoms and Aromatherapy is one of them. It helps by working on the brain, the mind and the emotions. Aromatherapy is the use of fragrant, concentrated oils from parts of plants, such as their flowers, fruit, stalks, roots and bark, for the purpose of improving a person’s health and well being. Aromatherapy treatment can be performed internally as well as externally, the aim being to restore balance to the mind and body. The general physiological conditions improve, thus making the person less vulnerable to diseases. 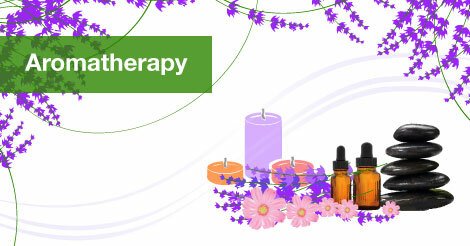 Aromatherapy also helps in the rejuvenation and regeneration of the human body. Aromatic products can be traced back as far as 4500 BC when essential oils were prepared in China and India centuries ago. They were then used by Egyptians, Greeks and Romans. The Arabs started to use these later on in the 10th and 12th centuries. In England, their usage started in 13th Century.